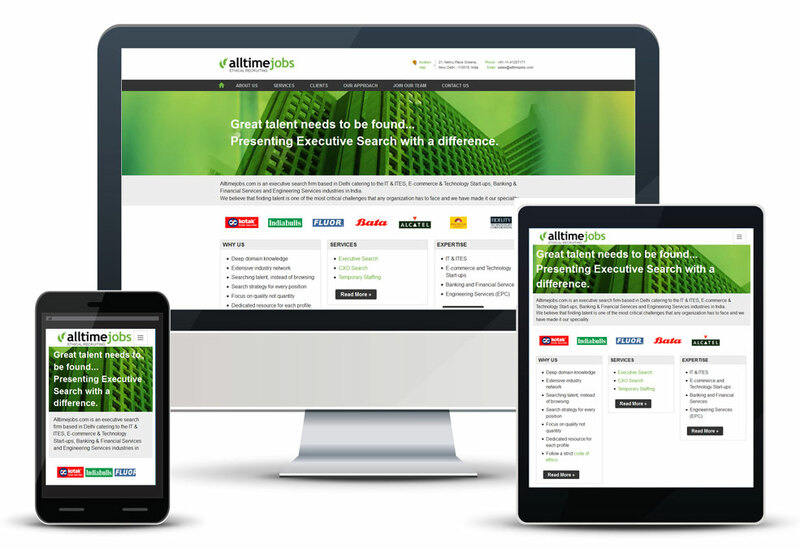 Alltimejobs a recruiting company wants to revamp the old brand identity. The management wants to give a fresh & trendy look and prefer green color as a base color of the brand. While doing this exercise of choosing green color I thought about a green shade which tender fresh look as well as corporate. Going through this process, we have decided to adopt the pantone 369 as a base color. 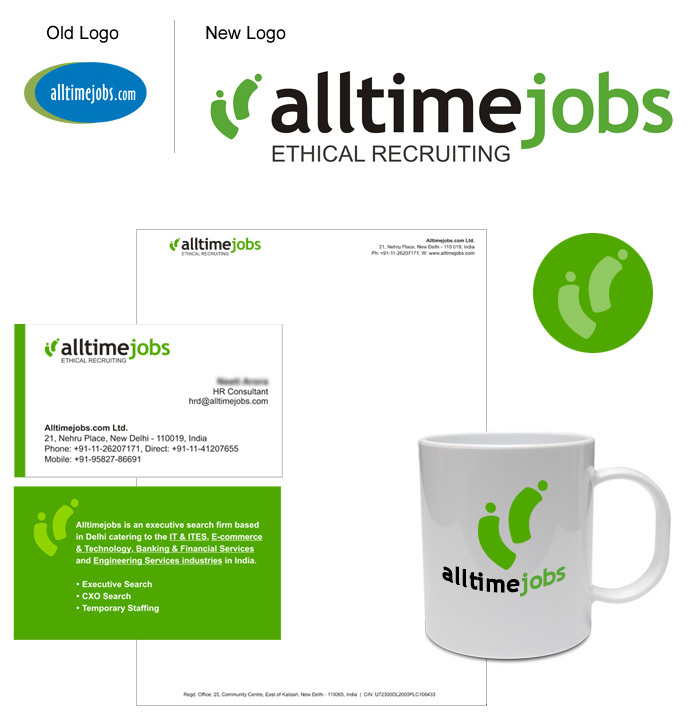 The logo symbol depicts people in motion add a great value to the brand identity. Responsive Design: While doing website design, we use foundation 5 as a front end framework so that it works fine in tablet and mobile also.